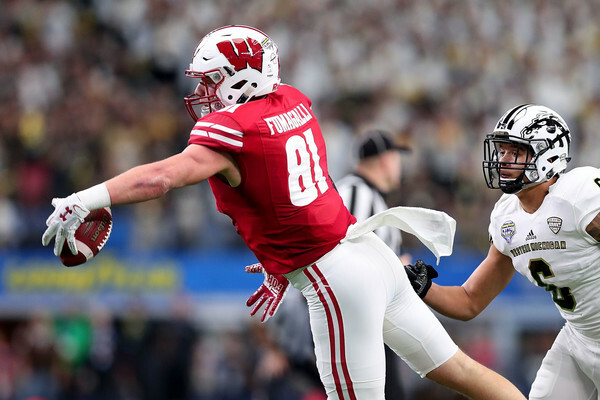 On a chilly and blustery day in West Lafayette, Indiana the Wisconsin Badgers were able to crush Purdue 49-20 after a slow start to the game. 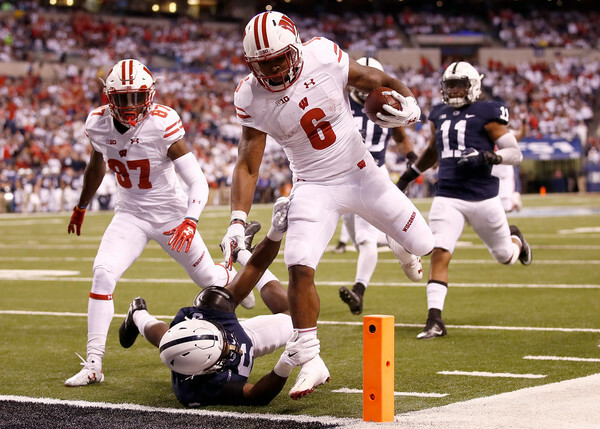 There were a lot of good things for the Badgers, but there are also some things to work on. We will take a look at both the good and bad. 1. Badgers start very slow – Wisconsin was sluggish in the first quarter and there could be many reasons for it. Was it confidence against an overmatched opponent? The weather? The offense going into the wind to start the game? The early start for this road game? It was most likely a combination, but the offense (and T.J. Watt’s pick six) sparked the team to life in the second quarter. It should be noted that the offense was against the wind in the first quarter and played with it in the second quarter. 2. 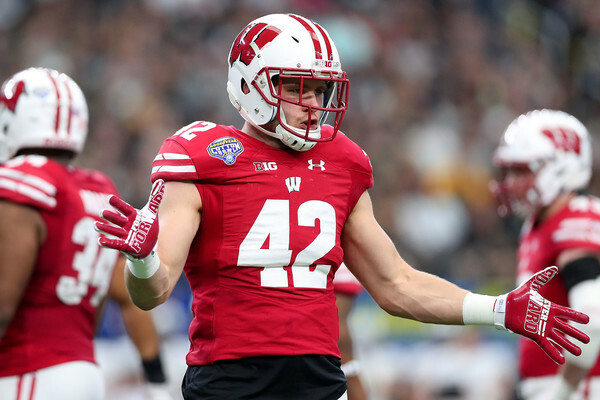 Pass defense was good and bad – There were times the defense was great against the pass and that was from linebackers T.J. Watt (see Tweet below) and T.J. Edwards. The bad was from the actual secondary when they were burned multiple times by DeAngelo Yancey including on a 75 yard touchdown late in the second quarter. 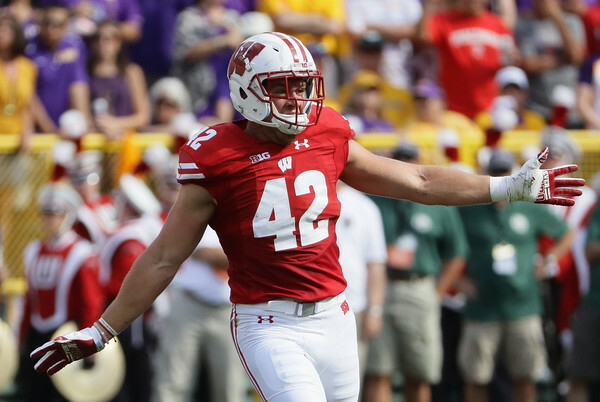 Leo Musso made a nice interception at the end of the second quarter as the Badgers recorded three first half interceptions. 3. Both sides fed off each other – After the slow start, the offense got going in the second quarter with Dare Ogunbowale on screen passes. That led to a touchdown and the subsequent pick six by Watt. The Badgers offense scored another touchdown on their next drive and the defense got another deflected interception by Edwards. Both sides were trying to match one another in big plays and that led to 35 second quarter points. The defense has usually been the catalyst for the team in 2016, but this game showed the offense has the ability prop up the defense. That may be needed next week against Minnesota and potentially in the Big Ten Championship Game in two weeks. 4. Quarterbacks were quietly effective – There was little doubt the run game would be used extensively with the blustery weather, but both quarterbacks had solid games even though the stats are far from overwhelming. 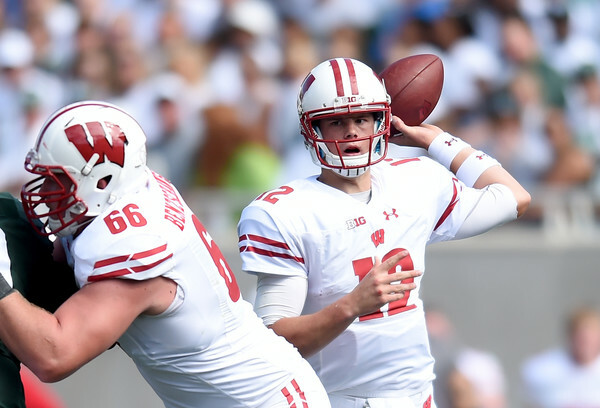 Bart Houston went 5 of 6 for 102 yards and a touchdown while Alex Hornibrook went 7 of 9 for 89 yards and a touchdown. Neither player played poorly and were smart with their throws. Having a very good run game and playing Purdue sure helped, but this could see their confidence increase going into the final two (or 3) games. 5. Unsung players get the glory – Fullback Alec Ingold had two touchdowns against Purdue with one on the ground and one through the air. Coming into the game he had only one touchdown. It was much deserved for a guy who does blocking for Corey Clement, Dare Ogunbowale, and Bradrick Shaw. Speaking of Shaw, he had 2 touchdown runs and he had acres of space on those as well. Shaw finished with 68 yards on 8 carries. 6. 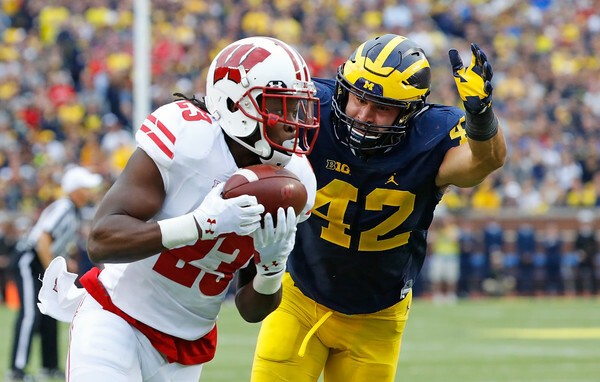 Rough start to each half for Special Teams – The trouble started on the opening kick for the Badgers as they fumbled the kickoff, but were able to recover. Later in the first quarter, Anthony Lotti had a wobbly and short 29 yard punt. These were probably caused by the very windy weather (especially in the face of the wind), but that is how games can be lost. 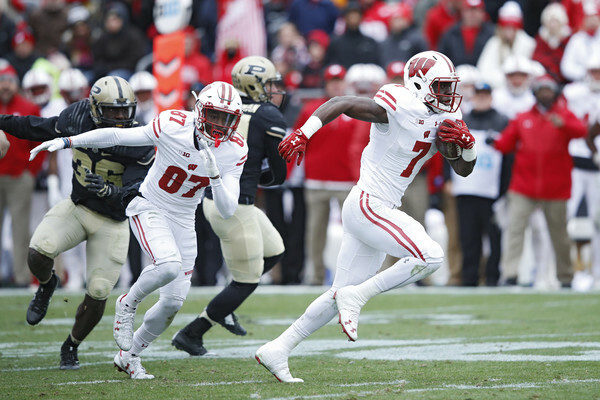 The second half began the similarly as the Badgers were called offside on the opening kick and then Jazz Peavy fumbled his first punt return of the third quarter and Purdue recovered. As both halves went on the Badgers were able to clean up the mistakes, but these are the type of mistakes that can cost the team a game. The Badgers are now 9-2 overall and 6-2 in the Big Ten. They will play Minnesota next week at home in the regular season finale. Their path to the Big Ten Championship is simple: beat Minnesota and they are in.